Is UML emerging as largest party in local poll? KATHMANDU, July 2: The results of the ongoing vote count in various local units of Provinces 1, 5 and 7 that are now pouring in indicate that the CPN-UML could eventually emerge as the largest political party in the country, at least at the local level. Should the ruling Nepali Congress (NC) fail to make up from the 127 local units where analysts suggest UML is relatively weak particularly following the post-constitution Madhes agitations, UML is certain to negate the suggestions of many that NC would still emerge as the largest party from these elections. In the first phase local polls held in 283 local units in Provinces 3, 4 and 6, UML had maintained a lead with 124 victories. NC was limited to wins in 104 local units in those polls. With the vote count continuing in 334 local units in Provinces 1, 5 and 7, UML has secured victory for positions of chiefs in 61 local units while NC is trailing with 44 wins. Likewise, UML has maintained a lead in 72 local units while NC remains ahead in 69 local units as of Saturday evening. Maoist Center has so far secured victory in 21 local units and maintained a lead against other parties in 16. In a number of places, NC and Maoist Center had joined hands in both the first and second phase local elections, apparently to keep UML at bay. Political analysts argue that NC will be reduced to the second party overall if it fails to compensate from Province 2, a region that is supposedly NC's stronghold. “I personally feel NC is less likely to compensate from Province 2, considering the trend of electoral alliances during this election,” said political analyst Uddhab Pyakurel. Province 2 has 127 of the 744 local units across the country. 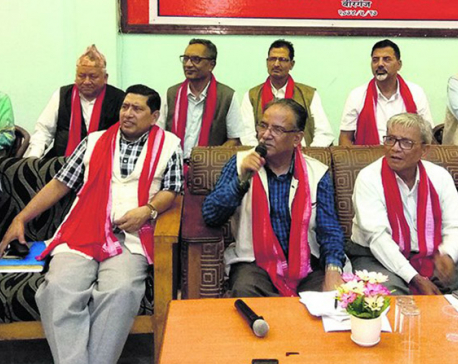 Pyakurel argued that since there is a trend of weaker parties forging electoral alliances against the stronger ones in almost all local units, NC as the strong party in Province 2 will face a challenge from other parties. “This will greatly affect NC's prospects of compensating its loss in other provinces to retain its position as top dog,” he further said. Some even argue that the masses in Madhes who were directed against UML in the past are now directed against NC and Maoist Center, as these parties failed to fulfill their promise to amend the constitution to the liking of Madhes-based parties. This alienation is likely affect NC's showing in Province 2. A few days ago, top Rastriya Janata Party leader Mahant Thakur, venting his frustration with the ruling NC and Maoist Center, said publicly that the anger of Madhesi people had started turning towards NC. However, even if NC comes out as the second largest party in local level elections, its leaders believe this may not necessarily affect the outcome of the provincial and federal elections. They argue that although NC came out the largest party in the local level elections held in 1992, it was UML that emerged the first largest party in the mid-term elections held shortly after the local polls. Similarly, NC had emerged as the largest party in the 2001 general election even as UML secured an overwhelming victory in the local body elections in 1999. 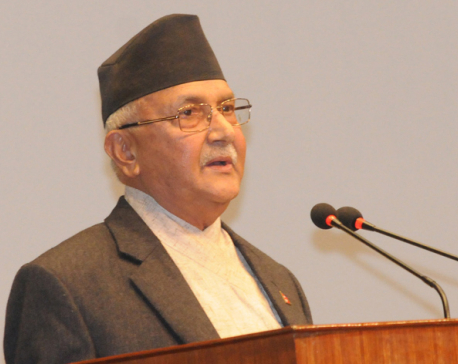 "Although UML is likely to emerge as the largest political party in the local elections, I do not think the same trend will continue in provincial and federal elections," said Pyakurel, echoing the thinking of many NC leaders.